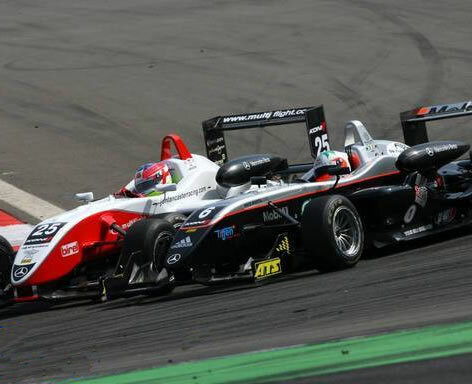 Niall Breen grabbed a total of seven points last weekend in Rounds 11 and 12 of the Formula 3 Euroseries Championship at the Nurburgring short circuit in Germany, by taking eighth in Saturday's race and then following that up with a fine second place from pole position in Sunday's 28-lapper. Racing with British team Manor Motorsport in his Mercedes powered Bar One Racing Dallara F308, Breen had a few tyre pressure problems in qualifying for Saturday's race and from fourth dropped down to 16th on the grid. 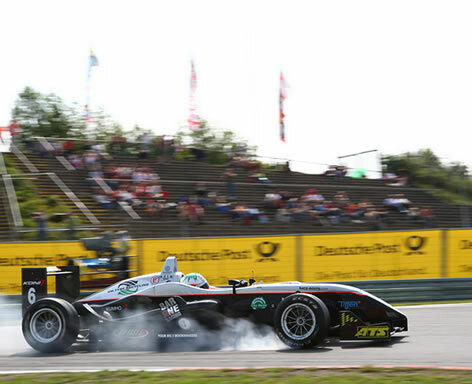 However at the start of the race he shot straight into 10th place by the end of the first lap and then passed two other cars to settle in eighth behind British driver Jon Lancaster for the remainder of the 28 laps. Eighth place then gave the Dundalk driver pole position for Round 12 on Sunday. He was alongside Lancaster on the front row and as the lights turned green, he had the advantage over Lancaster but as they headed into the first corner, Breen's Dallara locked up and Lancaster pushed through into the lead. Although he tried hard to regain the lead, overtaking was virtually impossible and all Breen could do was hang on to the exhaust of Lancaster's ART Grand Prix car for the duration. At times, the pair was tantalisingly close but as the race drew to an end, Breen followed Lancaster home by a mere 0.723s to take his first podium in what has been a very tough season. Having been the meat in an ART Grand Prix sandwich throughout, Niall finished clear of Jules Bianchi and Williams F1 test driver Nico Hulkenberg. Breen now lies 13th in the series with nine points and is the second of the Manor Motorsport drivers on the leaderboard. 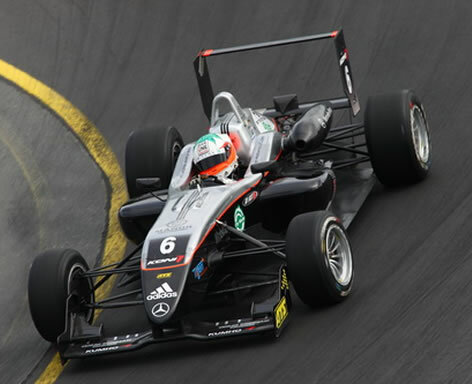 Although the F3 Euroseries resumes at Brands Hatch in the UK on August on 29th - 31st August, Breen competes in the F3 Masters in Zolder, Belgium on August 9th/10th.